If I might be allowed a little shameless self-publicity, my new book Suffolk Coast and Heaths Walks: Three Long-distance Routes in the AONB is published today by Cicerone. A bit of a mouthful, I know – let’s just call it ‘Suffolk Coast Walks’ for the sake of brevity. 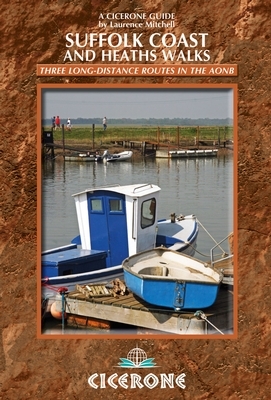 The book gives a detailed account of all three long-distance trails within the Suffolk Coast and Heaths AONB (Area of Outstanding Natural Beauty). All three routes make for excellent walking, either in their entirety or as selected day stages. OS map extracts for the various stages are included and the book also has considerable background information outlining the history, geography and wildlife of this attractive region. It is lavishly illustrated too, with photographs taken by yours truly (the cover shows the River Blyth at Southwold). For a look inside the book, a sample chapter and downloadable PDF file you can visit the Cicerone website here. It is also on Amazon.co.uk here. Here’s a brief sample from the introduction and a few images from the book. The sky seems enormous here, especially on a bright early summer’s day, and the sea beyond the shingle almost endless. Apart from the gleeful cries of children playing on the beach, the aural landscape is one of soughing waves and the gentle scrape of stones, a few mewing gulls and the piping of oystercatchers. Less than a mile inland, both scenery and soundscape are markedly different – vast expanses of heather, warbling blackcaps in the bushes, and a skylark clattering on high; the warm air is redolent with the almond scent of yellow gorse that seems to be everywhere. This is the Suffolk coast, and it seems hard to imagine that somewhere quite so tranquil is just a couple of hours’ drive away from London. 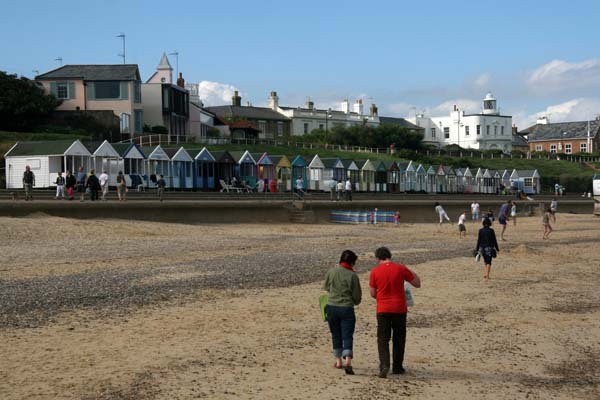 The big skies, clean air and wide open scenery of the Suffolk coast has long attracted visitors – holiday makers certainly, but also writers, artists and musicians. 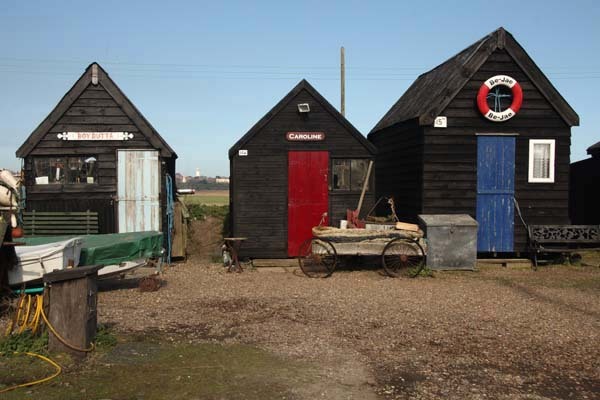 The Suffolk coast’s association with the creative arts is longstanding, and its attraction is immediately obvious – close enough to the urban centres of southern England for a relatively easy commute, yet with sufficient unspoiled backwater charm for creativity to flourish. 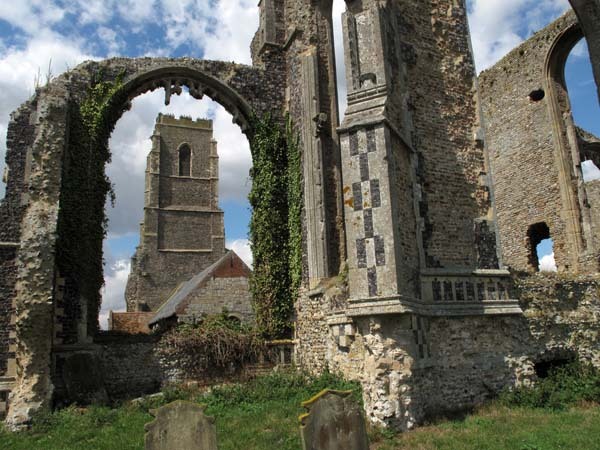 It is not hard to see the appeal – east of the A12, the trunk road that more or less carves off this section of the East Anglian coast, there is a distinct impression that many of the excesses of modern life have passed the region by. The small towns and villages that punctuate the coastline and immediate hinterland are by and large quiet, unspoiled places that, while developed as low-key resorts in recent years, still reflect the maritime heritage for which this coast was famous before coastal erosion took its toll. The county of Suffolk lies at the heart of East Anglia, in eastern England, sandwiched between the counties of Norfolk to the north, Essex to the south and Cambridgeshire to the west. The county town is Ipswich, by far the biggest urban centre in the county, while other important centres include Bury St Edmunds to the west and Lowestoft to the north. Much of the county is dominated by agriculture, especially arable farming, but the coastal region featured in this book has a wider diversity of scenery – with reedbeds, heath, saltmarsh, shingle beaches, estuaries and even cliffs all contributing to the variety. There is also woodland, both remnants of ancient deciduous forests and large modern plantations. Such a variety of landscapes means a wealth of wildlife habitat, and so it is little wonder that the area is home to many scarce species of bird, plant and insect. This region can be broadly divided into three types of landscape – coast, estuary and heathland, or Sandlings as they are locally known – and the three long-distance walks described in this guide are each focused on one of these landscape types. All three have plenty to offer visitors in terms of scenery, wildlife and historic interest, and the footpaths, bridleways and quiet lanes found here make for excellent walking. 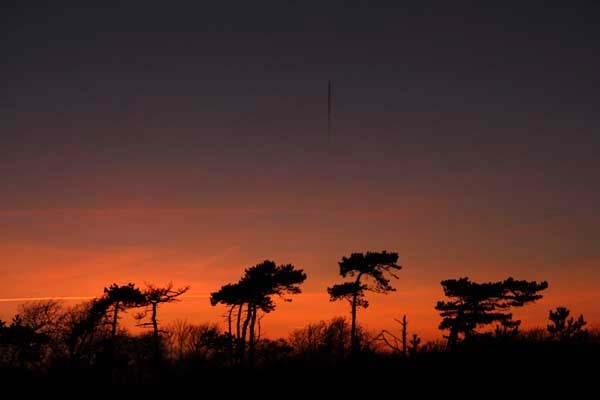 Almost all of the walks featured here fall within the boundaries of the Suffolk Coast and Heaths Area of Outstanding Natural Beauty (AONB), which stretches south from Kessingland in the north of the county to the Stour estuary in the south. The whole area – both coast and heaths – is now one of 47 Areas of Outstanding Natural Beauty in England, Wales and Northern Ireland, having received AONB status in 1970, a designation that recognises, and protects, the area’s unique landscape. This entry was posted in Suffolk, Travel, Walking and tagged Cicerone, long-distance walks, Suffolk, Suffolk Coast Path. Bookmark the permalink. Thanks, Duncan. It seems a long time since I actually finished writing this one but the Cicerone team were very positive and encouraging. The Suffolk coast is lovely, and interesting in a variety of ways – wildlife, landscape, history. There’s scope for urban exploration too, you’ll be pleased to hear. I’m going to be researching a Norfolk walks book for Cicerone this coming year, so watch this space. Your route looks really interesting. I was planning something similar myself a couple of years ago but only completed part of it. From the east coast and Lowestoft you might want to follow the Angle’s Way west along the Waveney Valley to Thetford. I did this walk in winter and it was really enjoyable. I posted about it here: https://eastofelveden.wordpress.com/2011/02/25/walking-the-edge/. Or you could, if you had more time (and energy), follow the Suffolk coast south from Lowestoft as far as Cattawade. From here, you can follow the Stour Valley west along the Suffolk/Essex border. That would be quite a lot further to walk though. Good luck with the Grand Norfolk Hike – I shall be following your progress with interest. Thanks, Rudolf. You’re right, it’s good to receive your author copies – it sort of confirms that your book is finally ‘out there’. How’s progress with your Northumberland Walks book? I’m envious as it’s one of my favourite parts of the country. Northumberland – done, printed, packaged up and sent off to Cicerone last week (also a nice feeling!). Funnily enough, even though like you I normally write about, photograph and travel in SE Europe and beyond, and this was my first book on somewhere in the UK, I think I enjoyed writing/researching it more than anything I’ve done before. Thanks, Malou. I think that is the secret of enjoyable travel in the UK – to have a close look at a fairly small area. Go out and explore and just see what you find. Just found your blog via Under a Grey Sky and will start following you. I walked part of the Suffolk Coastal Path a few years ago and love that part of the world. Would have been good to have the book then – I’ll have to go again. Thank you, Diana. I’m glad to hear that you enjoyed walking the Suffolk coast. I really like your blog too and it seems we have similar tastes – WG Sebald, Roger Deakin, muddy estuaries etc. I don’t know the Essex coast well but it seems to be a continuation of the sort of landscape that you find in Suffolk. Wonderful blog, where was picture taken of the old architecture, a church I gather? I love derelict buildings especially medieval ones. Congratulations! It looks like a great guide, Laurence. I’ll get that one. Laurence, have just received your Suffolk C & H Walks. unfortunately it’s been cropped off. Thanks for contacting me, John. The maps are tightly cropped to fit the text but it might be possible to reframe it slightly to include this station for the next edition.